Daesung (22, Real name: Kang Daesung) was hard on himself, thinking that he wasn’t as good as the others when it came to preparation for their debut. But the result of his hard effort and training was the formation of ‘vocal cord nodules’, which announced the possible end of his singing career. For nearly a year, he desperately struggled with his voice. He was so nervous about screwing up on a high note on stage and giving the group a bad name when they had just debuted, that it caused him to develop stage fright on top of everything else. But Daesung got help from his senior Gummy (Real name: Park Ji Yeon) who had also experienced the same pain, and his vocal folds cured miraculously during the 6 months of rest after the release of their first album. Daesung’s naïveté also caused him a lot of trouble. He’s the type to work hard on his own, keeping his emotions to himself no matter how unpleasant the task so he subconsciously stacked up a lot of stress. When he thinks back to his childhood, he wasn’t always smiling. 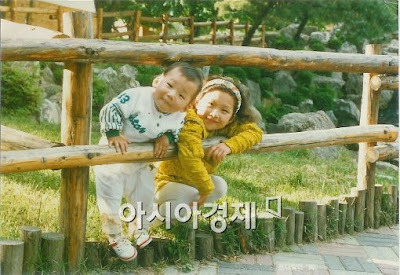 He says it even feels like he had to put on a ‘smiling mask’ in front of cameras and the public since his debut in the entertainment industry. 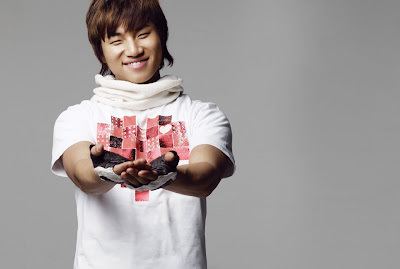 The time after his debut that he spent waiting to be on broadcasts was irritating and exasperating for Daesung. And though these feelings slowly faded away after trying to comfort himself and repeatedly telling himself to ‘think on the bright side’, his emotions must have stacked up deep down within him without him even realising.